Your melody is one of the most important components of your song. It can separate your song from the sea of songs out there. It’s one of the things that make your song memorable – and with only about 3 minutes of it, it requires something special to be remembered. So, in order to help you create those unique melodies the world will keep as a tune coody for at least a day, I thought I’d put together a mashup of some melody writing tips. These are all over the board and go everywhere from general humming with no theoretical basis to music theory type explanations. The goal is to give you some options. What does “have contrast within” mean? There should be a change with each of your core components (Verse, Channel/Pre-Chorus, Chorus, Bridge) your listener can easily distinguish – i.e., oh, I’m in the chorus now! It helps: (1) create separation between your song parts, (2) gives the listener a sense of where they’re at in the song – part of the story or chorus message, and (3) helps maintain interest from the listener. If you’re singing about a roller coaster, having a flat-line, slow melody line in your verse may not be a good idea. But, it could work as a nice contrast in the chorus. A slow paced loved song may warrant a little zip in the chorus if the circumstance in the chorus is more upbeat (an argument, making up, etc.). Most importantly, for a hit, your melody has to be easy to sing in the chorus and your hook in particular. We all know WAAAYYY more choruses than verses! There’s a reason. 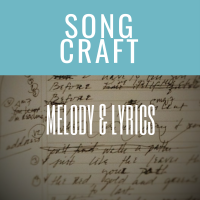 And – a general thought on song craft: Remember, rules are there to guide decisions – putting a few rules together often creates a “broken rule” – in this case, melody should be logical to the tone of the song & create contrast. Ultimately, the craft of songwriting is there to serve the song and what it wants to be – if you stay true to the song, you’ll do it justice every time.